Tuesday, Feb. 26, 2019, 2:30 – 3:20 p.m. In this talk Drs. 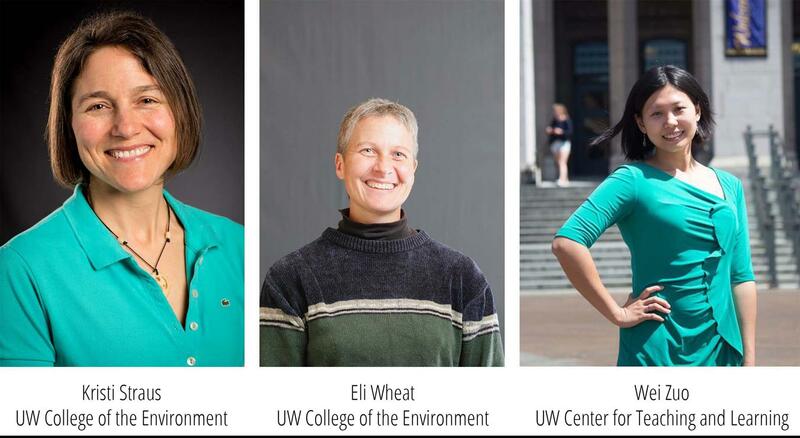 Straus, Wheat, and Zuo describe a new study abroad model they developed for the Program on the Environment's “Sustainability: Personal Choices, Broad Impacts” course. The “Global Flipped Classroom” builds on the existing Collaborative Online International Learning (COIL) model by adding a brief study abroad trip to the course. This new model enhances global engagement, and provides an affordable and practicable study abroad opportunity for UW students. UW students enrolled in the class collaborated online with Tsinghua University students to explore how culture can not only define environmental problems, but can also create solutions. The course culminated in a ten-day trip to Beijing, promoting connection and conversation between Tsinghua and UW students while they experienced the city through the lens of sustainability. Drs. Straus, Wheat, and Zuo discuss the successes and challenges they experienced while developing this model of instruction and their plans for future refinement.